Open Daily. 9:30 a.m. - 4:30 p.m. | Wednesdays 9:30 a.m. - 7:00 p.m. 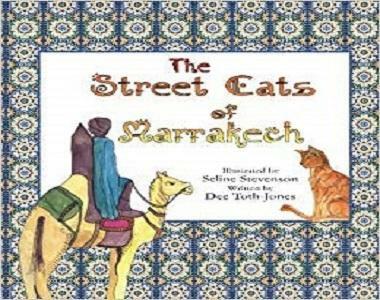 This is the story of Luhut, a small cat who lives on the colourful streets of Marrakech. This is a tale of his adventures: of the people he meets and the wonders he sees every day, in what he considers to be the greatest city of Morocco, indeed the greatest city in all of Africa! Repeats every day until Sun Apr 21 2019. Questions? Contact Education@sdcdm.orgor call (760) 233-7755. Group Rate (10 or more people): $7.00 per person. Must book ahead.